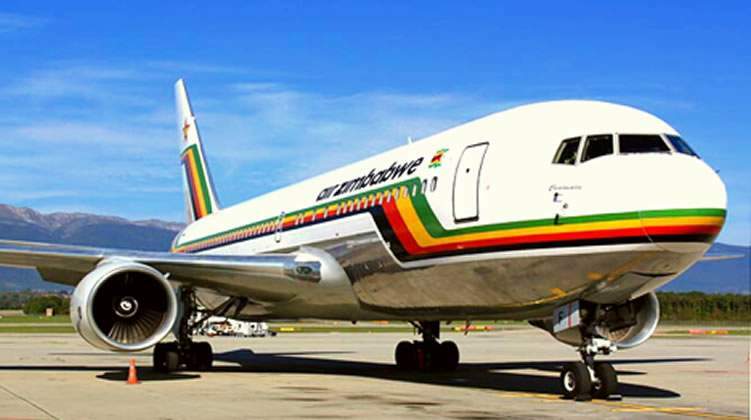 The government has announced that it is pinning its hopes on the Administrators of Air Zimbabwe who are working on a reconstruction exercise for the struggling airline. This was revealed by the Deputy Minister of Transport and Infrastructure Advocate Fortune Chasi responding to one Chimusoro who had asked that "Is it not in the best interest of Zimbabwe to trim the board and the staff of Air Zimbabwe? Why are taxpayers funding something that's non-functional? I stand to be guided but inconveniences at Air Zim have been persisting, it's now a national embarrassment." Clarifying the matter Minister Chasi said, "Sorry for late reply mukoma. Airzim is currently under administration. Part of the admins mandate is to deal with all issues impacting on viability. There's no board at the moment. So nothing to trim. We await the admins turnaround strategy." Air Zimbabwe was placed under reconstruction in 2018 due to continuous failure to generate profits to remain commercially viable. Under general notice 758 of 2018 published in the Government Gazette, Justice Minister Ziyambi Ziyambi issued a reconstruction order in relation to Air Zimbabwe Limited and Air Zimbabwe Holdings Private Limited. On Thursday the national airline revealed that it has been operating one aircraft the B767-200ER and the plane is suffering from an engine technical failure. In a statement, Air Zimbabwe said, "The aircraft had to undergo an engine change on Sunday 3 March. The engine process could however not be completed within the projected time due to unforeseen circumstances. This has resulted in serious disruptions as most flights had to be rescheduled."